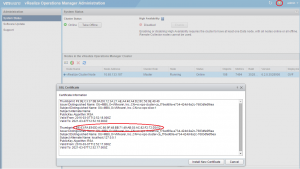 A few weeks ago Erik published a article about monitoring the vCenter Server appliance with End-Point Operations Agent.vCenter Server appliance with End-Point Operations Agent. 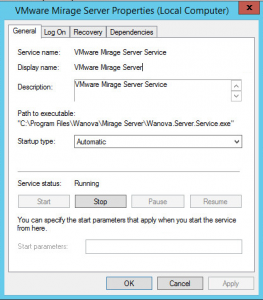 This article will be a follow up on the End-Point Operations Agent, how to monitor Windows services. 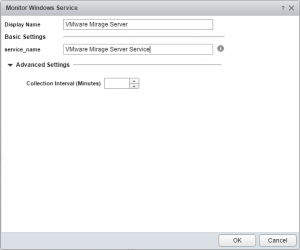 There are two ways in wich you can add Windows services to your vRealize Operations Manager. 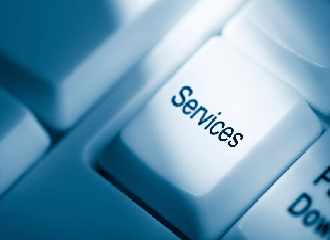 The first will be adding services manually, the second will inventory the services automatically. In both cases you will first need to install the End Point Operations Manager agent on the Windows OS. the certificate thumbprint. 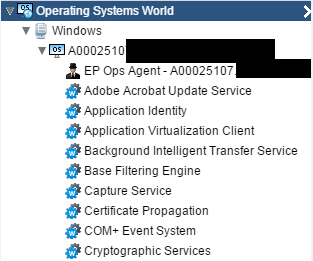 This one can be found in the admin console of Operations manager, shown in the picture below. You will want to use the second one in the SSL certificate. 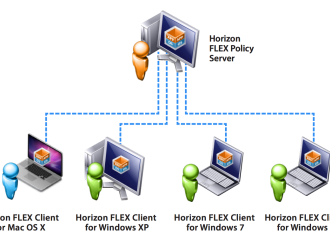 Once the installation is done you can check the service by looking for the “End Point Operations Management Agent” service in the Windows services overview. 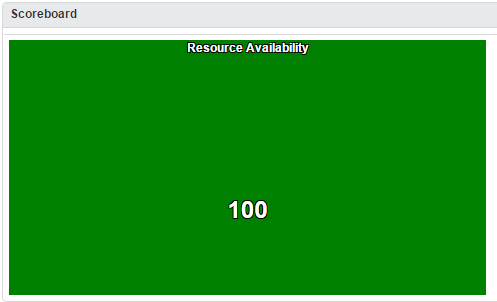 Now that the agent is available we can start adding services to monitor. First I will describe adding services manually. Enter the service_name. 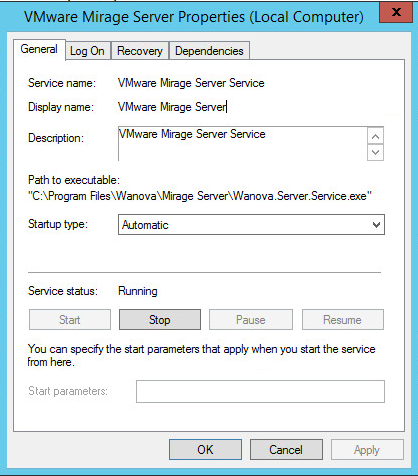 You can find this name by opening the targeted service on your Windows machine, near the top of the service window you will find the service name. Click OK and the service should now be visible under your agent. 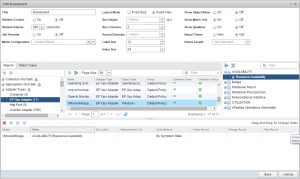 This method of adding services can give you a certain level of control over what is monitored within your infrastructure. But it is tedious work when you have a lot of services to monitor. That is where the automatic method comes in to play and it is really easy to setup. After the reboot it can take some time, but eventually you should see a list of services similar to the screenshot below. 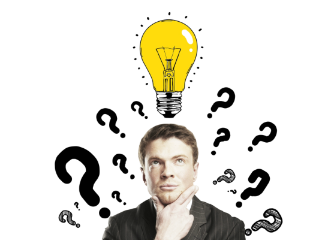 So now you got your services available in Operations Manager, what now? Well let me give a quick example by building a simple dashboard with a scoreboard in it for a single service. Your dashboard should now hold only the scoreboard widget and with it one colored square. Depending on the service running or beeing stopped the color will change from green to red and vice versa. 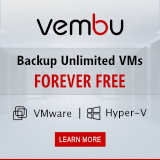 Hi, What version of vROps was this written for? 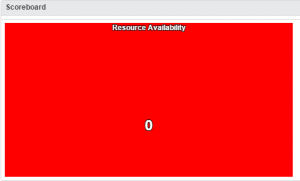 Can this be used for vROps 7.0 or have the screens and menus changed? 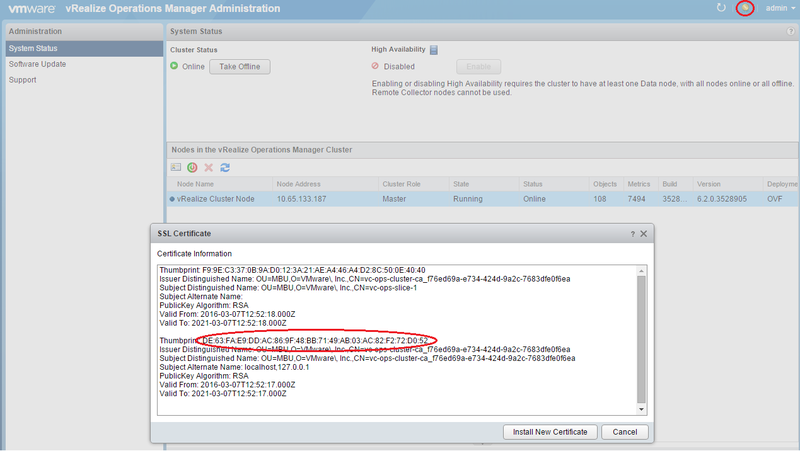 Hi Matt, Endpoint Operations agent was introduced in vROPS 6.x but is still available in vROPS 7.0. 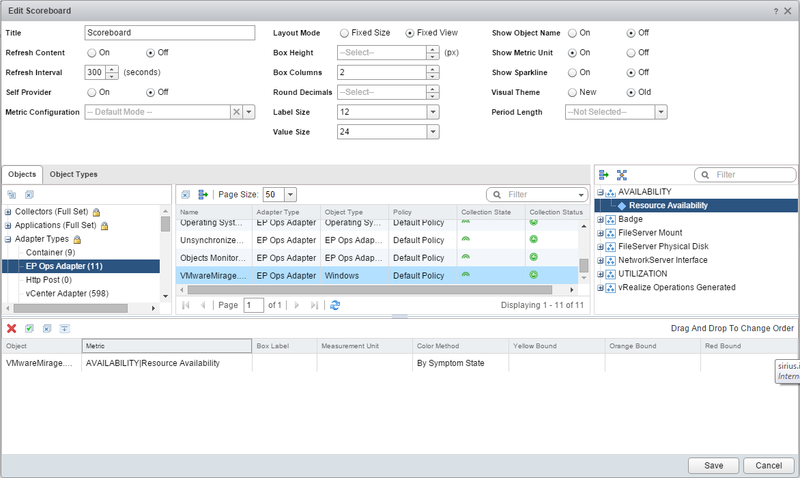 The interface has changed a bit since vROPS 6.6 but the menu items and actions are still the same.